RNP builds its ecosystem arm in arm with the universities and research centers that make it up. The project, implementation and operation of such infrastructure and services to support education and research use the knowledge and skills of the researchers and experts in computing and systems, both Brazilian and international partners. Based on such model, the experimentation of networks and new applications, the testing of architectures for internet, the engineering for a new generation of the Ipê network, the prototyping and the evolution of services are carried out, which constitute a theme community and human resources engagement project. Especially, 27 institutions serve as headquarters for the Points of Presence (PoP), which extend and represent RNP in each state and maintain, in close cooperation, a safe and high-quality operation, at national and international levels. As a fundamental support for research groups and centers to perform what is usually called e-Science, the generation of knowledge supported by distributed resources, such cyber-infrastructure for research offers high-performance communication, storage and computing resources. To provide support to education and global distance collaboration, all campuses, regardless of their location, must have access with the same capacity and quality to the advanced services portfolio. For such, RNP promotes and develops public and private partnerships that allow infrastructure, technology and qualification barriers to be overcome. By building solutions together with the academic community, the benefits are shared and the development of education, science and technology is promoted, to the benefit of the Brazilian citizens. In order to meet this great challenge, the organization seeks to always make this ecosystem encompassing, safe, simple and efficient. 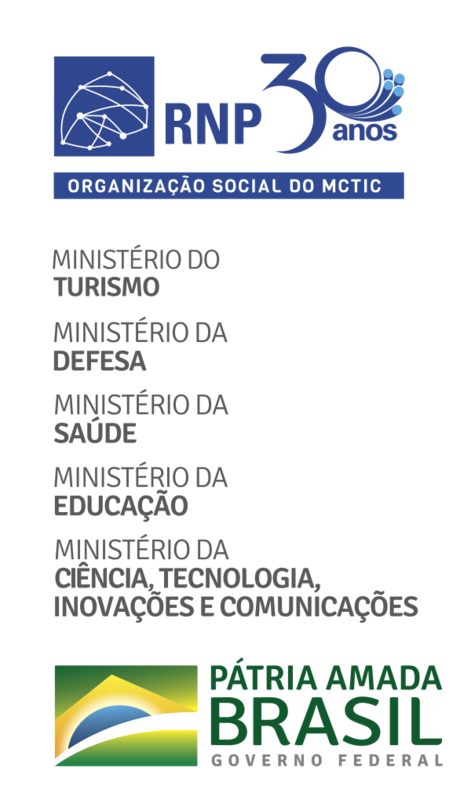 All of this is possible thanks to funds received from the bodies that back it, namely the ministries of Science, Technology, Innovations and Communications, Education, Health and Culture, as set forth in the Management Agreement, and the corporate governance, composed by such ministries representing the Brazilian government, and by universities, scientific societies, users and associates, representing the civil society.